I’m honored and humbled to have been asked to be the keynote speaker at the HighEdWeb Rochester Regional Conference on June 27, 2011. I’ve never given a keynote presentation before. And, I’m a tad rusty at conference presentations. I had taken a break from the conference circuit after 20 presentations in one year and wanting to focus my time and energy on my move to Ithaca and Ithaca College. This opportunity is giving me a great opportunity to get back in the saddle again, but I was hoping I could ask you for your thoughts. Keynote presentations are tough. I’ve sat through dozens of them. Some have been fantastic. Others have tanked. Conferences typically attract people from all different kinds of backgrounds and experiences, and to try to find one broad topic that will appeal to all attendees is tough. In the case of this HighEdWeb Rochester Regional, we’ll have some web programmers, web designers, content strategists, marketers, communicators, and more. 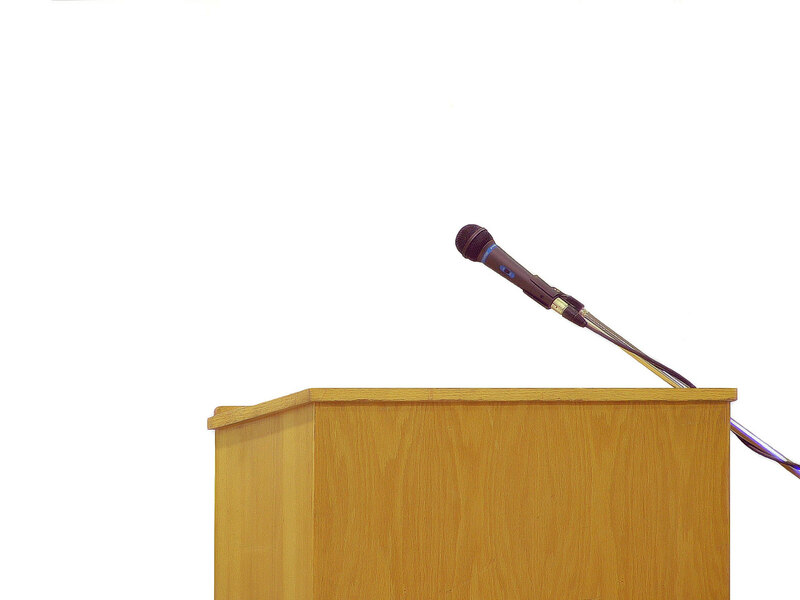 I want my talk to be useful, practical, and heck, maybe even inspirational. My talk is current titled, “Reflect, Repurpose, Restructure, Re-energize: A journey from the last 15 years of the web in higher ed and the road ahead.” That’s a mouthful. I came up with a rough outline prior to accepting the keynote invitation to make sure I thought I could come up with something that might be worthy. The outline is still quite rough, and even though I’ve committed to the presentation, I’d still like to know what you might find helpful (“you” being the attendees – physically or virtually via Twitter or whatever). In the “Reflect” opening, I thought I’d talk about where we came from, how much has changed, how much has stayed the same or we’re seeing repeat in various forms. In “Repurpose,” I’ll talk about skills web professionals (and marketing/communication types) have had in the past and how they can repurpose their skills into todays organizational needs. In “Restructure” I’ll actually talk about the organizational structure I inherited last summer at Ithaca College and what I’ve done to overhaul it in recent months, and my vision surrounding that effort. I’ll talk about higher ed’s challenges and needs within the web and marcom framework, and thought I’d try to tackle some hot topics (what do we do with magazines online, who should manage social media, is the viewbook dead, etc.). In “re-energize,” I’d like to share some thoughts about finding your niche, and find ways to leave you with some inspirational takeaways. I have less than an hour to tackle all of this, yet I still find myself wondering if it’s not enough, or helpful enough. What do you think? What would be useful to you? Wish I was going to be there to hear the keynote. Sounds like a great reflection on where higher ed has been and is going in web presence. When talking about “repurposing” skills, I think it’s important to note that the younger generation of recent grads has these skills built-in thanks to how media has changed during their lifetime. Today’s newest web professionals are some of the first to have grown up with the web and may have more intuitive/creative minds when it comes to tackling new challenges. Just a younger gun’s two cents. I agree with Rob’s comment below. I think this “younger generation” topic also fits into the “Restructure” section. The so-called chain of command just doesn’t exist as it used to, and those repurposed skills can lead to a new job description and/or a new job altogether. I’m really intrigued to see what may come of discussing who should manage social media. Twitter — or at least my personal Twitter feed — has been aflame lately with a debate over the “social media expert” and who has the right to call him- or herself an expert. Points have ranged from the connotation of the term “guru” to the decision to hire within the company versus contract with an outside source. I’d love to see how these decisions manifest themselves within the higher ed realm! Use your slides to illustrate the talk. Use as few slides as possible. As few words on the slides as possible- when they read the slides, they can’t listen to you talk at the same time. Hand out a URL with a PDF with notes/slides- that way, when anyone asks you for the stuff afterwards, you already have it posted to your website. (Plus it drives traffic to the site as a bonus). I think the story arc of the presentation looks hopeful, but just make sure you’re not trying to cram too much into the framework. Check out Brain Rules for maintaining an audience’s attention. Great tips. This has great balance, Rachel. I’d keep the Reflect portion short, which will allow enough time for the Re-energize discussion. Most of the time should be given to Restructure, and the IC case study is a great way to get at that. In light of Rob’s comments, the Repurpose section could focus on the skills web professionals need today (whether newbies or veterans) and how that fits into the current marcom framework, which would give you a nice transition into Restructure. You’ll be great…nice website, BTW!